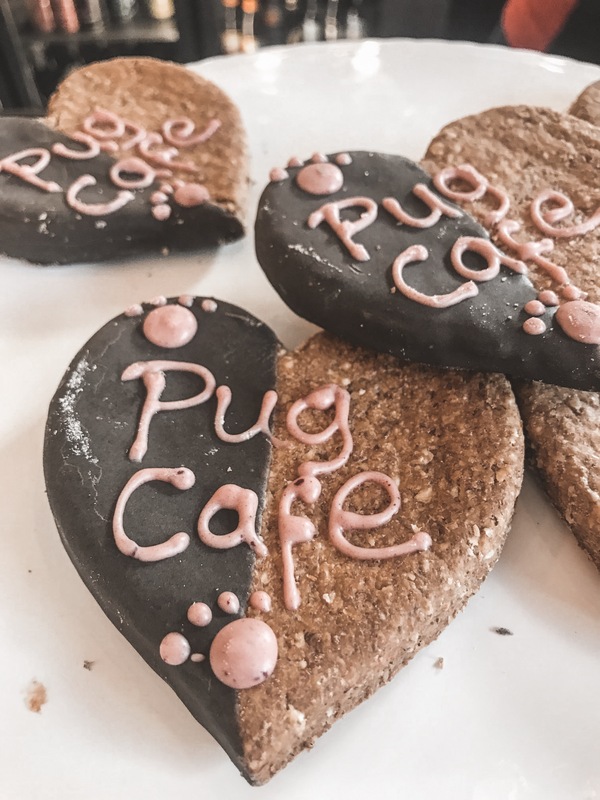 Brunch is a thing of the past, the pug cafe is the newest event in town and it’s totally pawsome! 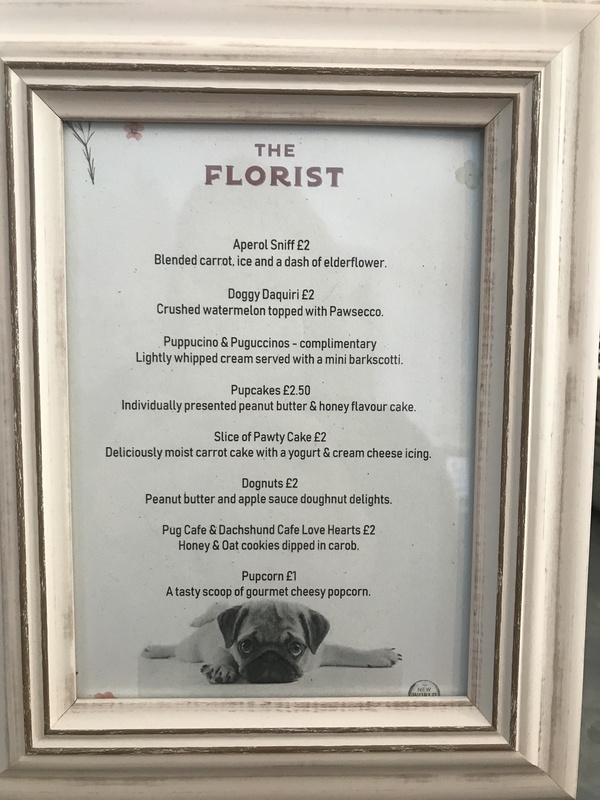 What is the pop-up pug cafe? Taking over a venue for the day, pug lovers and pug owners are invited to bond over a PUGUCCINO™ or two with their furry friends. 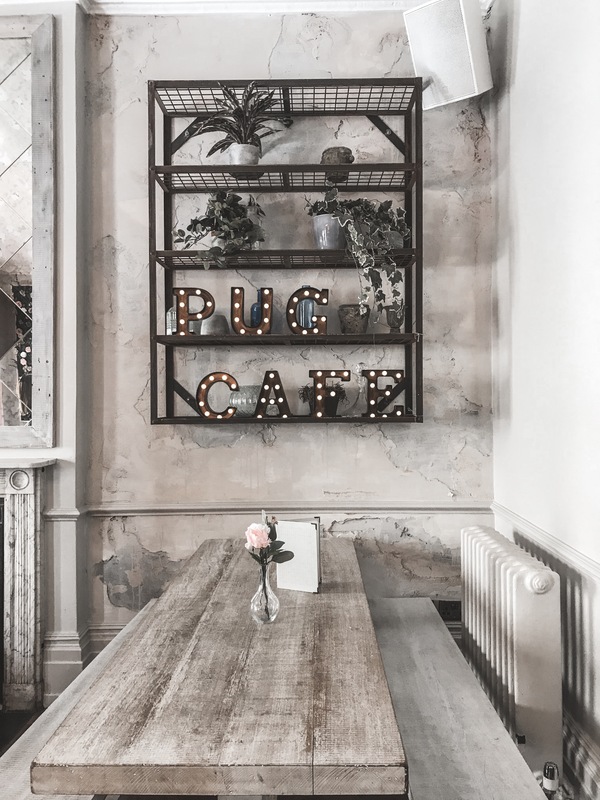 At the pug cafe, pugs and pug crosses can enjoy ‘gourmet treats, meet lots of sassy new friends, mingle and rub paws in a safe, off-lead space’. Details surrounding the event are communicated through the Facebook event for which the booking guidelines, date, time and instructions for applying for tickets were clear and well executed. Booking opened on 24th February at 11am, three weeks before the event itself was to take place on Sunday 17th March. To apply for tickets, an email address is announced at a specified day and time communicated beforehand which you are asked to send your full name, total number of humans, contact number and your 1st and 2nd preferred time slots. If you’re flexible, you should state that you are 100% flexible and I’d recommend this as an option if you are. Since the event is in high demand, it’s recommended to draft your email before the booking date and time, ready to send when the booking email was announced. It’s important to note that there are separate emails for pug lovers and pug owners so be sure to use the right one. 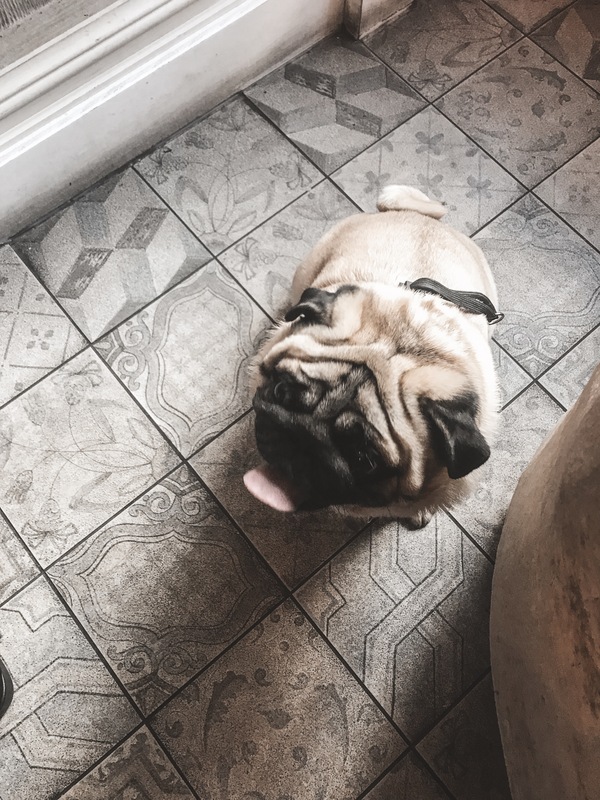 The tickets are charged at £7 for Pug Owners each for entry and a pupuccino, and £12 for Pug Lovers each, covering entry and a bag of doggy treats to make friends with. Don’t rest on your laurels, however, because your booking isn’t complete until payment is made and is based on a first-come-first-served basis. Once you’ve sent off your email (as soon as the booking opens), you’ll receive a response offering you a time slot which can take up to three days. I received my response six hours later. If you’re happy with the time and terms of your booking, you will need to make payment via the PayPal link included in the email. Once you’ve made the payment, you’ll receive your confirmation email – and now you can breathe a sigh of relief case you’re going to cuddle some pugs! Since the event itself is a pop-up touring the UK, the location will depend upon the city. 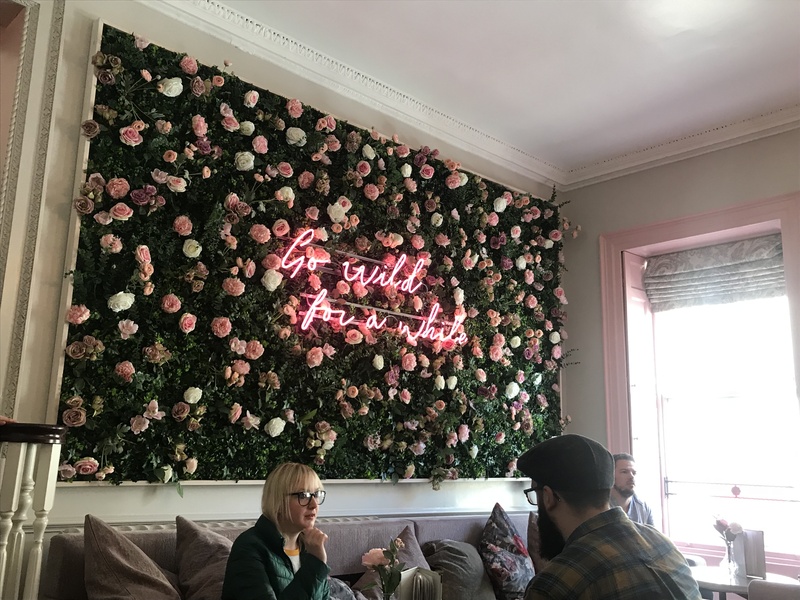 For Bristol, Park Street’s most sought after floral wall set centre stage. The Florist Bristol played host, with the upstairs reserved for the event. What really makes the pug cafe unique is that it’s the attendees themselves that make the event what it is – without the pug owners, there’d be no pugs. Pug Mums and Dads dressed up their fur babies to the nines and were just filled with so much love and pride over them running around causing absolute havoc – and it was amazing! I was a little anxious about being a pug lover and if some people might be a bit overprotective, but I couldn’t have been more wrong. Everyone loved showing off their pugs and were more than happy for cuddles. Running from 9am to 5.10pm at The Florist Bristol, the event is organised into 70 minute time slots starting at 9am, 10.10am, 11.20am, 12.30pm, 1.40pm. 2.50pm and 4pm. There’s no designated seating, so I’d recommend arriving a bit early to wait (or start) to be admitted entry so you can secure a good spot – you’ll need your booking number. Shortly after arrival, we were presented with a cocktail and brunch menu – we opted for a couple of cocktails since we’d breakfasted at Pinkmans. For the pooches, cookies, popcorn and all manner of treats were available to purchase for an additional fee outside of the complimentary pupuccino. Professional photos were taken at the event FREE of charge, and were made available to view online and save afterwards. I was really impressed by how well the whole event was executed – it’s no mean feat organising a hoard of pugs in a one-off location but it all went seamlessly. From the continued and thorough communication prior and after booking, to being made welcome on the day I’d definitely recommend it to others and look to attend again in the future. If pugs aren’t your thing, you can find Dachshund and Frenchie Cafes too. How have I not heard of these pop up cafes! I want to go to the pug, dachshund and frenchie one haha. 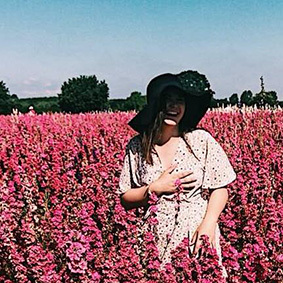 Thankyou for sharing, it is now on my radar!